Sony has the tendency of making Xperia series with physical camera snapshot button on the phone to make it feels like handling a compact camera, which is something very rare in the smartphone world today. If you`re into photography, you should appreciate that a point & shoot button not only feels more steady & natural, it can prevent fingers from blocking the screen while you are capturing an image. The camera button can also be used as a shortcut to launch the camera app immediately whenever you pull the phone out of your pocket to take a shot. 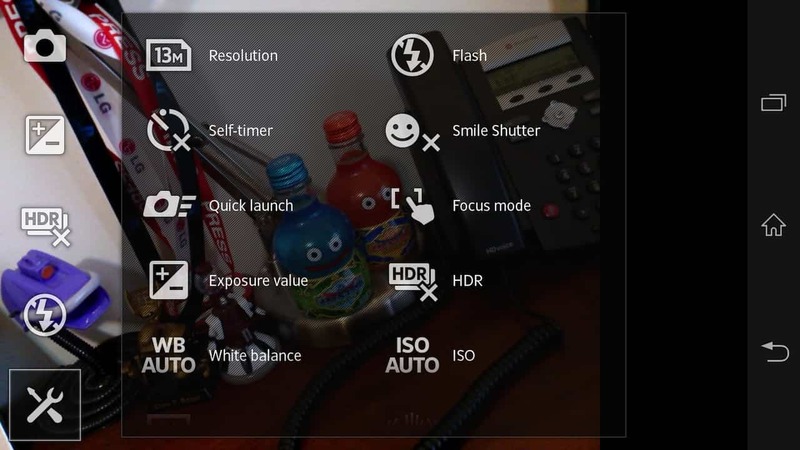 By half pressing the button, the image is focused & when fully pressed it can take a sharper image. We`ve covered the topic on how to take better pictures with the main camera; now it`s time to talk about how we can improve selfie shoot on the front camera. Sad to say, it`s not easy to take a selfie with a phablet. Select the three dots icon and scroll to the first tab to select Smile Shutter On.From there, you can choose between types of smiles to activate the shutter.While taking a group photo, you can see a blue bar indicator to remind you whether you need to smile more.